I’ve never been good at asking for help. I’m the one who usually jumps in to help or lend an ear when someone’s suffering. So dealing with the progression of Bill’s dementia–and all that comes with it–has been a journey. I haven’t had time to get involved with the Alzheimer’s Association, but I know I need to schedule time for that, and soon. I’d also like to start a support group for dementia caregivers at our church. 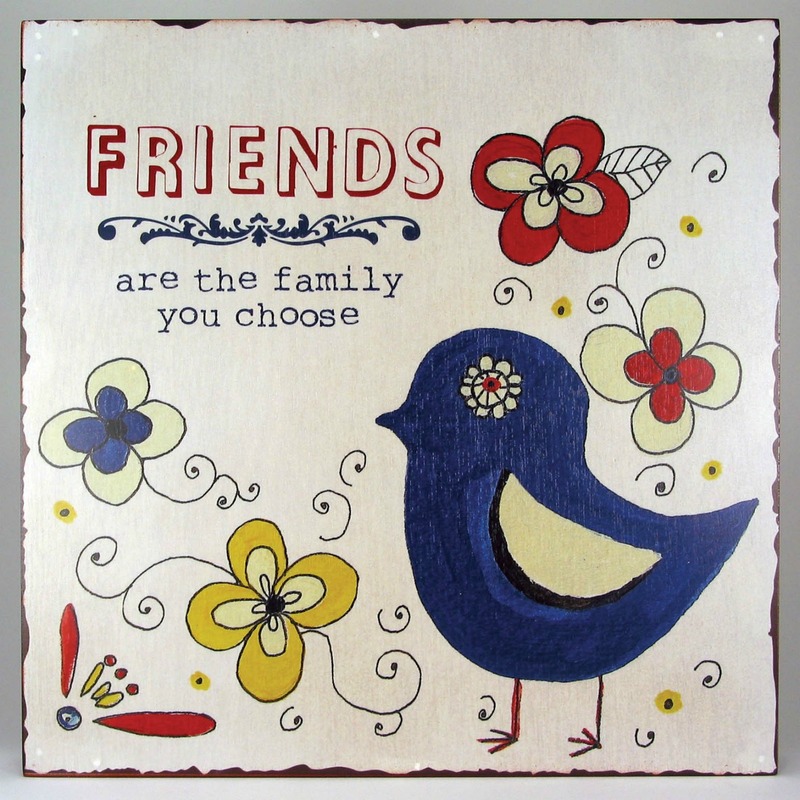 We don’t have family around us. My brother, Mike, lives in Florida and we’re not particularly close. Bill’s brother, Jim, lives in Denton but is disabled himself. I always thought we’d be taking care of him. Now I realize I may be relying on him more and more in the future. There aren’t nieces or nephews, so we’re kind of on our own–or so I thought. Three years ago I attended an ACTS retreat with women from Denton. It was truly life-changing, and it led to more involvement in my church, more contacts, and yes, more friends. Since then I’ve served on three ACTS retreat teams, and have become closer friends with many of the women in that group. Together we’ve shared triumphs and tragedies, milestones and miracles. I plan to continue to serve this ministry because serving others keeps me centered in my faith. After my last blog post, several of my ACTS sisters apologized for not being available. Well, heck, I never thought to call them. I’ve always been independent, and Bill and I have always had the means to take care of ourselves. That’s not necessarily the case these days, as this old house needs maintenance and cosmetic surgery and that takes money, time and organization, all of which are in short supply. My mother (isn’t everything our mother’s fault?) was obsessed with “what will others think?” and so the idea of asking for help was never, ever encouraged as we grew up. It’s hard to shake an upbringing like that. I’m a kid who spent a summer at home in a body cast and nobody knew about it–it was a deep dark secret. Nobody came to visit me because, “what would somebody think?” My mother was ashamed she had given birth to an imperfect child needing surgery for a birth defect. Baggage like that is heavy and hard to dump as life goes on. Years after her death, I’m still trying to please my mother. But my ACTS fellowship, and maturity, have mellowed me. Early last week Brittany, who lives in the neighborhood, showed up on the porch with a casserole and freshly-baked pie. Why? Because she could do it. Her beautiful, smiling face–accompanied by her charming children–brightened our evening. 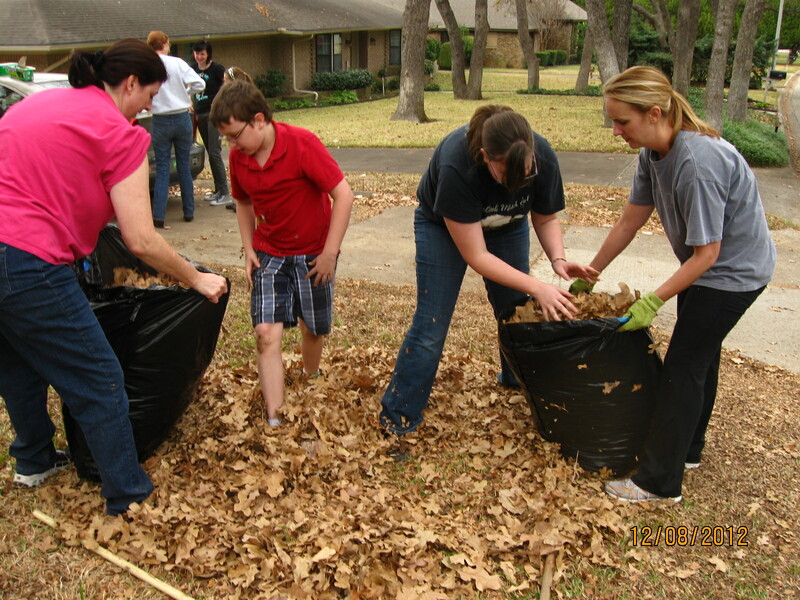 She noticed the many oak trees in our yard had deposited their leaves and we hadn’t touched them, and she said “we’ll come over Saturday and rake leaves.” It wasn’t a question–“would you like us to…. ?”, but a statement of fact. People are always asking me what they can do to help, and I usually can’t think of anything that wouldn’t be a major inconvenience. But she saw a need and volunteered. Brittany, her husband Kurtis and our friend Lance were at the door shortly after we had changed into our grubbies. “We’re here to rake your leaves!” Brittany said with her infectious smile. They started attacking the yard, with Kurtis getting on the roof to blow leaves out of the gutters. Before long Jeanne showed up with her teenagers and a friend’s kid and they all attacked the yard like a little army. I made a run to the store for more leaf bags and picked up drinks and snacks. Before long the bags were piling up and Ana and Michelle zoomed up in Ana’s cute red convertible, apologizing for not seeing the email sooner. Our dog Holly enjoyed running through the leaves, and I even let the girls into the house to meet the cats. I got over my embarrassment pretty fast when I realized they didn’t care that the place didn’t look like Martha Stewart lived here. 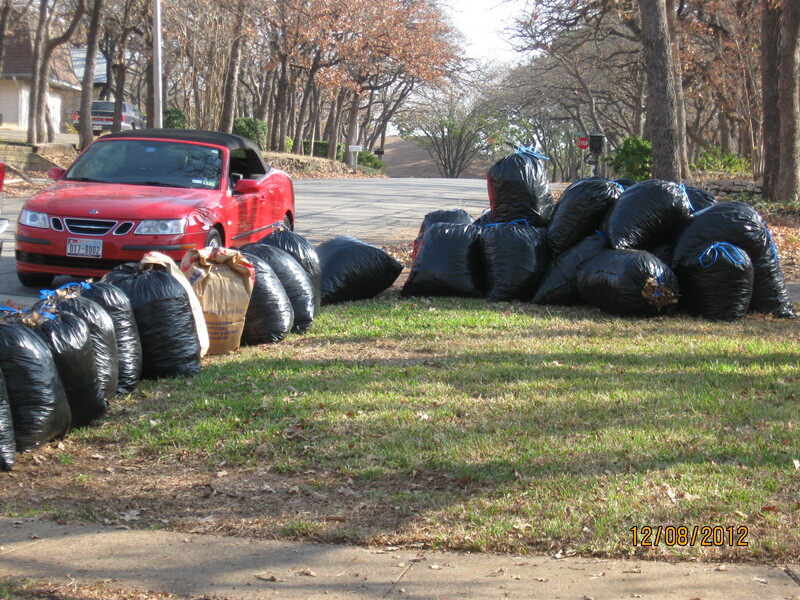 After a couple of hours of work on a mild day there were 83 bags of leaves piled up by the curb. While in the back yard somebody noticed the green pool and asked if the pump worked. The guys and gals walked around and asked about a few other things that need attention–we inherited this house from Bill’s dad, who hadn’t done much more than change the light bulbs for 30 years. It’s a great house that needs a little love and attention. We talked about the possibility of another work party, and Kurtis offered to do a couple of things that really should be done. I’m so grateful to these friends and their kids who gave up half of a Saturday to help us out. But this is about more than raking leaves and enjoying a nice day outside. The lesson I learned for myself is to accept help when it’s offered, and ask when needed. And here’s a little unsolicited advice for friends and relatives of someone dealing with any kind of adversity, crisis, illness, etc. The question “can I do anything to help?” can be overwhelming. Yes, there is something you can do to help, but the caregiver may be too overwhelmed or embarrassed to say what it is. Like me, they may also not know what you’re willing to do. So take a cue from what Brittany and our friends did–notice something that needs doing and do it. Don’t be intrusive, but I assure you it’s comforting to realize somebody IS willing to help with a simple task that’s been pushed to the bottom of the priority pile.